Autopilot Upgrade - Hydro-Thermal Corp.
Are you interested in differential pressures within 0.1 psi? The Autopilot has recently received an upgrade – it now has all of the benefits of the original Autopilot along with an electric motor. 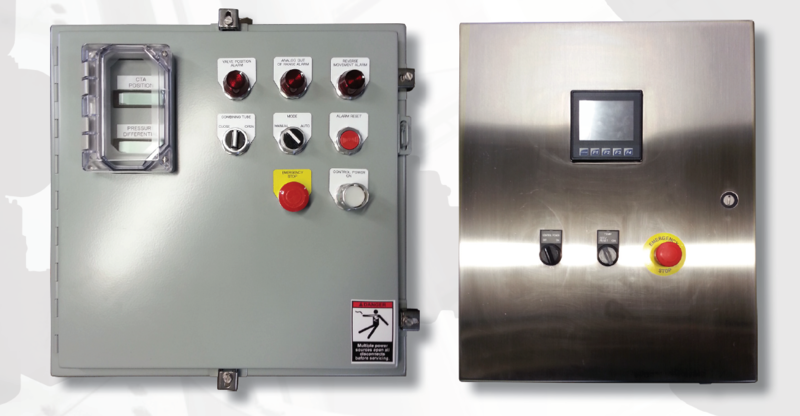 It is a solution to further automate your facility to ensure you are reaching your ideal differential pressure. For more information on the upgrade, click on the document below in the resources section. No more manual adjustments to the Hydroheater – the Autopilot automatically adjusts to your desired perimeters which makes your operator’s lives easier. If desired, you can switch between manual and automatic adjustments. Can integrate with the plant’s DCS for closer monitoring and troubleshooting. Are you hoping to achieve differential pressures within 0.1 psi? Badger State was able to achieve these precise readings thanks to investing in an Autopilot. Prior to investing in the Autopilot, Badger State employees would need to manually adjust their JetCooker up to 20 times a day. Now, the company can set the Autopilot to their specific perimeters and don’t have to worry about manual adjustments. To read more about Badger State’s experience with the Autopilot, click on the article below in the resources section. If you are interested in learning more about the Autopilot, do not hesitate to contact us here.